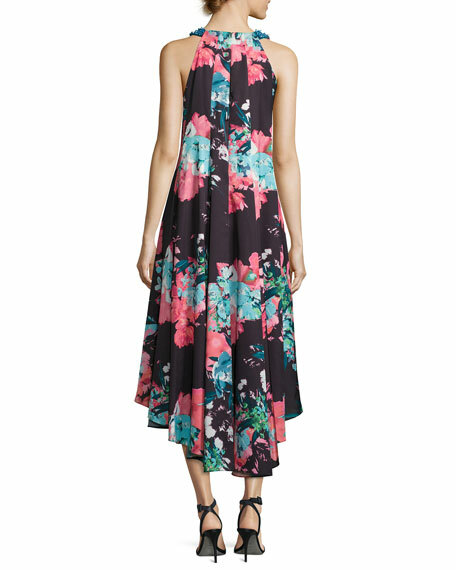 Aidan Mattox pleated floral-print cocktail dress. Embellished jewel neckline; halter back. 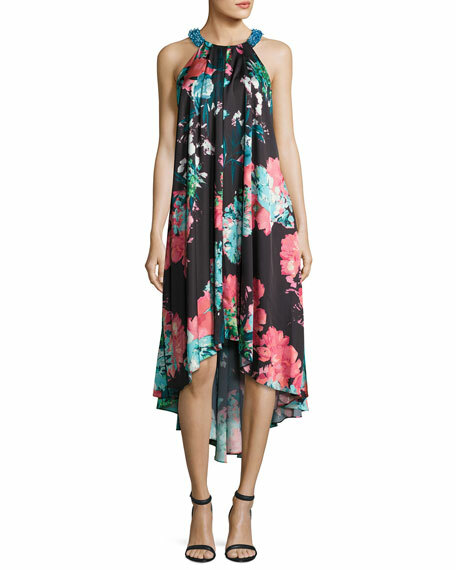 For in-store inquiries, use sku #2218424.